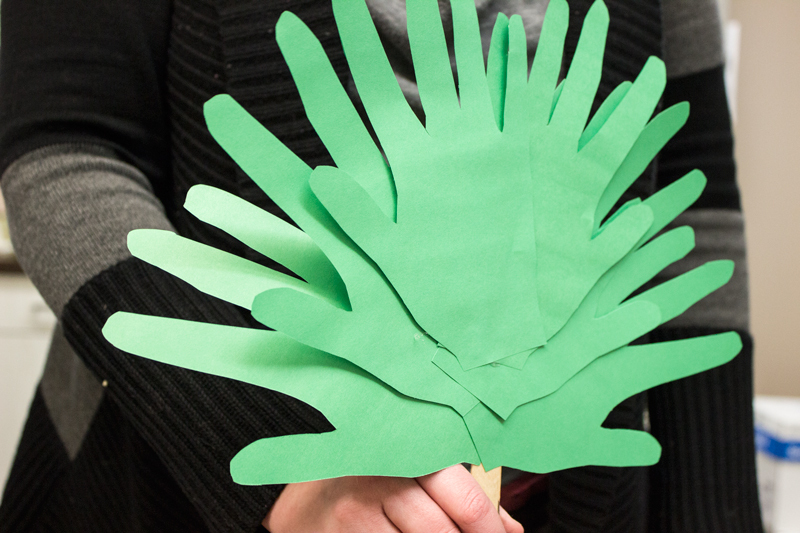 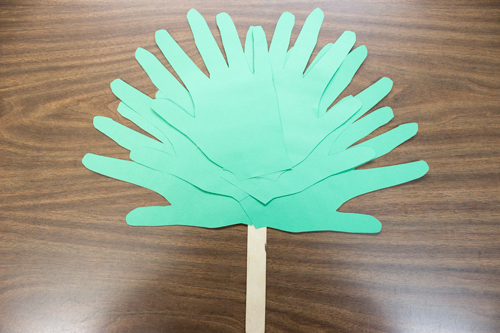 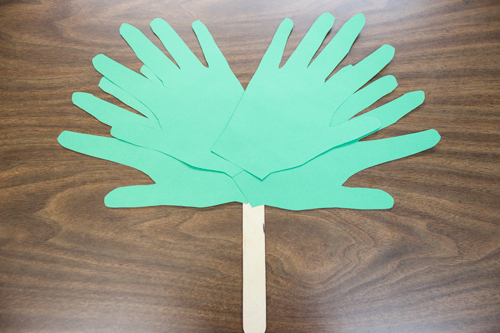 Make your own “hand-crafted” palm leaves to share your joy at the coming of the King. 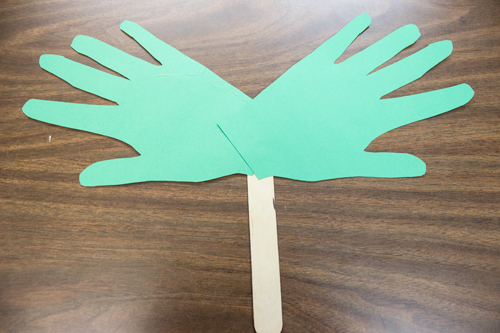 Step 2: Take your hand and lay it flat on top of the paper. 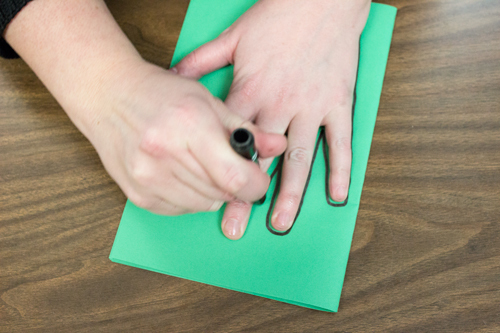 Make sure your entire hand is on the paper and spread your fingers apart. 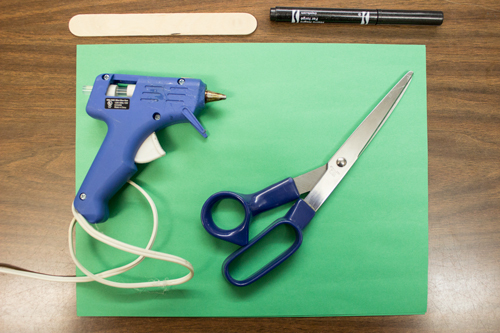 Use the pencil to trace the outline of your hand onto the piece of paper. 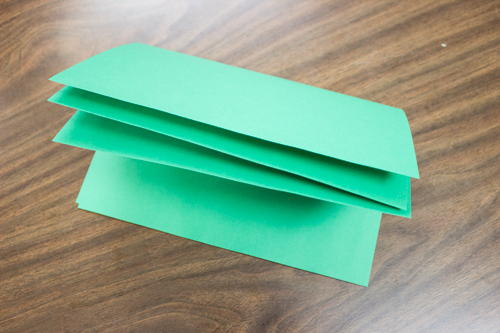 Step 3: Pick up the paper (do not separate the sheets) and cut around the edges, being very careful not to let any of the paper slip out of place. 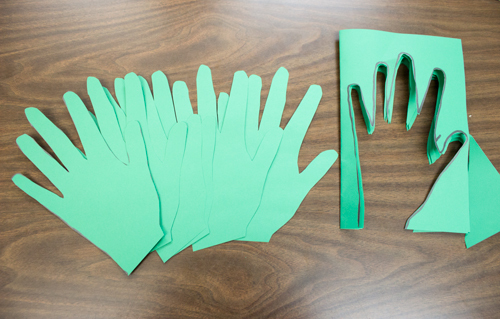 When you are done cutting, you should have six silhouettes of your hand. 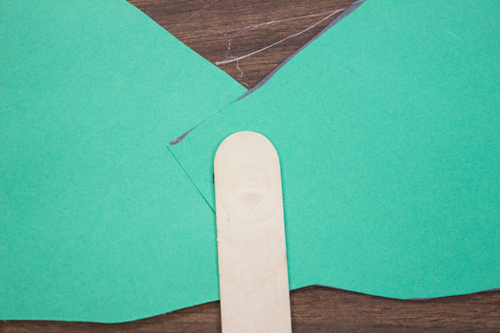 Step 4: Glue the silhouettes in a fan-like pattern to one end of a Popsicle stick.